I agree with every single thing you wrote. Originally, I used stainless steel pans, then stainless steel titanium covered pans, teflon for some time and finally now cast iron. 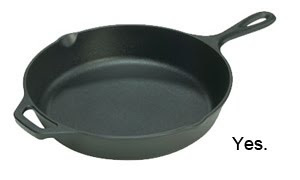 Teflon has a number of disadvantages - one being that it eventually will get scratched and come off. Titanium covered stuff is insanely expensive. Stainless steel is nice, but it's more sticky than cast iron, so eventually cast iron is the best - durable, versatile and reasonably priced. world's worst website. I don't like this website! 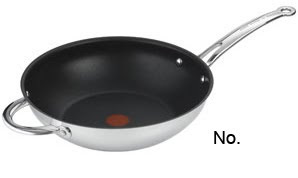 Dear author thanks for updating the useful tips "the purpose of the present installment is to convince you that you should not be using non-stick cookware". Most of the home maker will apply this information in their daily life.